Performers include: Kelsey Grammer, Martin Lawrence, McKaley Miller, Telma Hopkins, Danièle Watts, Rory O’Malley, and Edi Patterson. This comedy series revolves around a high-end elitist lawyer and an ethics driven lawyer who end up being partners. Allen Braddock (Kelsey Grammer) is the privileged upper-class heir to his father and grandfather’s elite law firm. He’s spent his entire life perfecting the art of being pretentious, self-centered and greedy without conscience. After his family fires him, Allen finds himself cut off financially and socially from prestigious lawyering, leaving him to face the consequences of his actions for the first time in his life. He struggles with trying to communicate with his tough cookie step-daughter, Lizzie (McKaley Miller), and having a new law partner who seems to care more about people’s rights than money. His new partner is Marcus Jackson (Martin Lawrence), a modest local man who got into law to help the community. He’s so involved in helping others that he tends to neglect his own needs. He does a lot of charity and pro-bono cases, but struggles to pay the bills. After his ex-wife took everything, Marcus is finally, with the help of his new law partner, willing to pay more attention to himself and financial gain, without compromising his ethics. Ruth Jackson (Telma Hopkins) is Marcus old-school and outspoken mother. Her favorite hobbies are gossiping, cooking and gossiping. Laura Jackson (Danièle Watts) is Marcus’ daughter. She’s a sweet college coed who’s a bit flighty, a little naive, and has never been accused of being a rocket scientist. Marcus’ ambivalent assistant Michael (Rory O’Malley) never actually seems to do any work and likes to listen to himself talk. Taken under Marcus’ care when his father passed, Michael is like teflon. He’s quick with a joke and happy to point out the flaws in others but is secretly big-hearted and cherishes being a part of the Jackson family. Outgoing, confident, and sexual, Veronica (Edi Patterson) is the law firm’s investigator. She’s completely uninhibited: always telling outlandish stories about the men she’s been with, and goes to any extreme to gather information for a case. When Allen and Marcus decide to make a commercial for their practice, Allen’s inflated ego takes the helm and creates a disaster. What do you think? Do you like the Partners TV show? Do you think it should have been cancelled or renewed for a second season? I never saw Advertising for the show after it aired. I completely forgot about it till TUBI app. I’m sorry it’s cancelled. I thoroughly enjoyed the first and only season. It’s about law how funny did some people actually want it to be if to be relatable?? My daughter and I Love this show! I’m 42 and she’s 11 and we’re looking forward to seeing it again. My father hasn’t seen it yet but he will. I’ve telling everyone I know about it. I agree. They need to bring it back! @debbue I’m sorry but if you consider Martin Lawrence’s woefully painful over-acting funny then I would think it’s you who doesn’t have a sense of humour. I hope Kersey Grammar cuts his losses and moves onto a better project as he has calibre as a comedic and also as a serious actor. I love this show, but cannot locate it any longer on tv – Please do not cancel this show – it is really funny with Martin and the other actors. I really don’t understand all the positive comments about this show. Martin Lawrence is painful, the supporting cast are awful and the canned-laughter is way overplayed. Some parts are funny but I can watch entire episodes without cracking a smile. Waste of time and a show I had high hopes for. I loved the two different personalities together. Why would they take it off…I really enjoyed it? Shame on them! Where has this show gone? 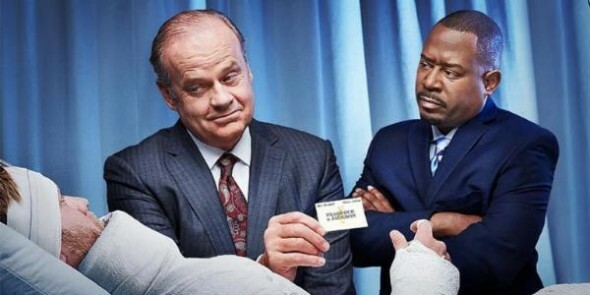 Typically not a TV-show watcher, I thoroughly enjoyed ‘The Partners’ It is human, FUNNY, and edgy. The acting is superb with fairly well developed characters and sharp comedy. The plot situations are eccentrically classic, and many contemporary ideas are portrayed with borderline poor taste. Overall, the humor is superb. I would like to see the series renewed.